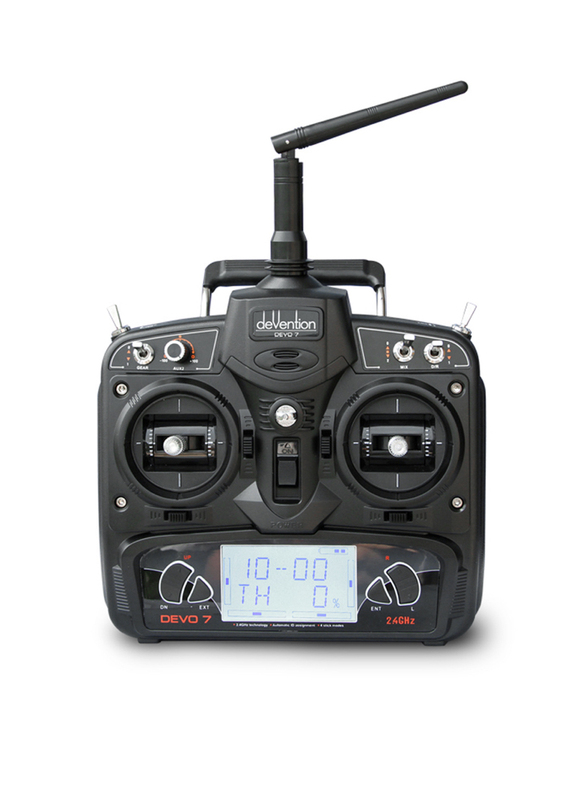 Please Note: We only have unboxed stock of the DEVO 7, they are 100% new and taken from our RTF Walkera Drones. Receiver not included. 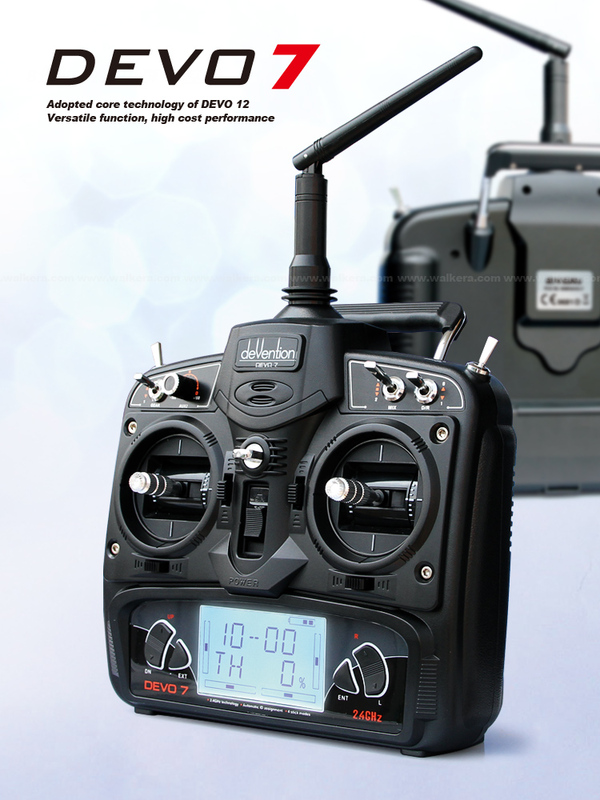 The Walkera Devo 7 is a popular entry-level 2.GHz radio transmitter. It is ideal for quadcopters, helicopters and planes. 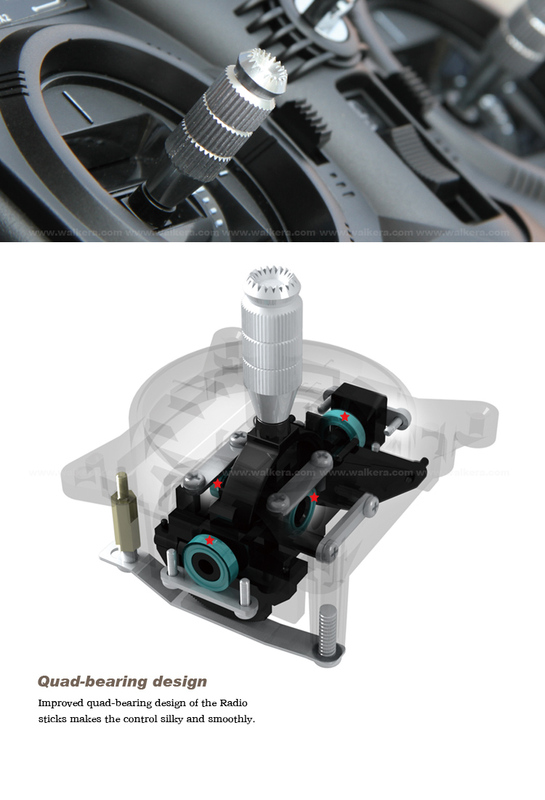 For quads in particular, it has 2x 3 position switches, which are useful for configuring flight modes. It also has a variable positive switch that is handy for gimbal control. The Devo 7 features 7-Channels and boasts a 15x model memory. It carries all the important features that you need for your 6-Channel aircraft, like the Throttle and Pitch curve, 3 flight mode (Normal, IDLE 1, IDLE 2), Dual Rate (DR) and EXP settings, Servo reverse, Swashplate mode and Gyro sensitivity.